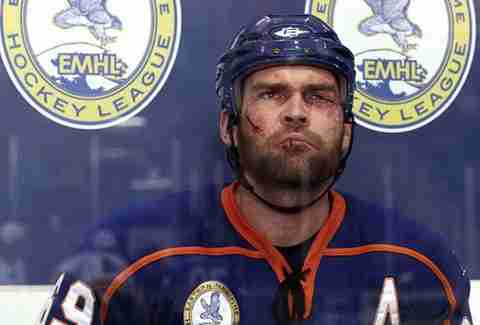 Hockey cinema has given us the Hanson brothers and the Flying V, Herb Brooks's sadistic whistle and Doug Glatt's No. 69 jersey ("It's hilarious!"). 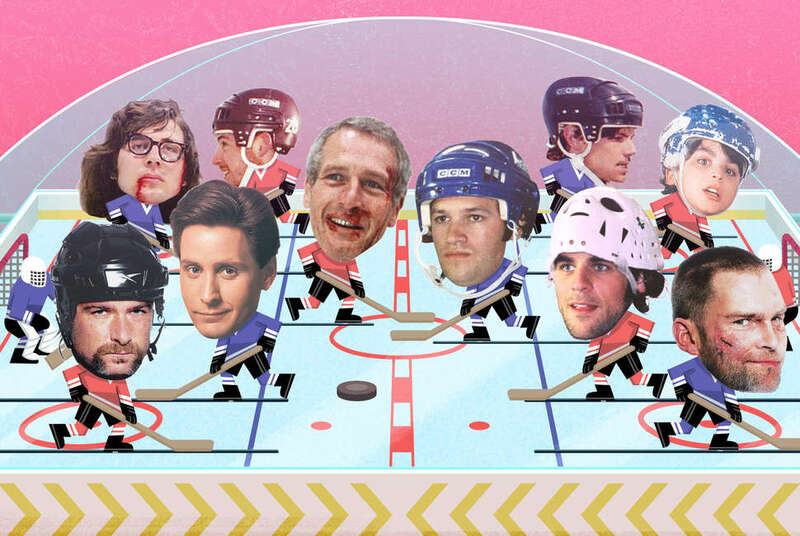 Which is to say, there's a wide range of sensibilities on this list of the best hockey movies of all-time, and something for both the casual fan and the biggest student of the game. Whether you're looking for a feel-good story, a history lesson, or just want to see some guy's teeth get knocked in, there's a quality hockey film for you. 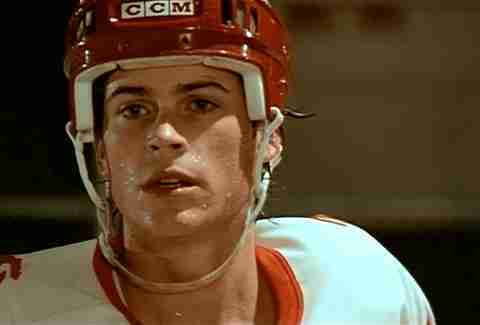 Rob Lowe transforms from a pretty-boy finesse speedster into a pretty-boy finesse speedster who can also punch a guy in this very 1980s film. Is there a training montage involving a speed bag and shirtless push-ups? Oh, you bet there is. The film is loaded with other clichés, too, but from a hockey standpoint, the most ridiculous moment comes at the film's very end, when a fight in the final seconds of the championship game kicks off with some sort of hockey-stick joust, which is… not how hockey fights work. 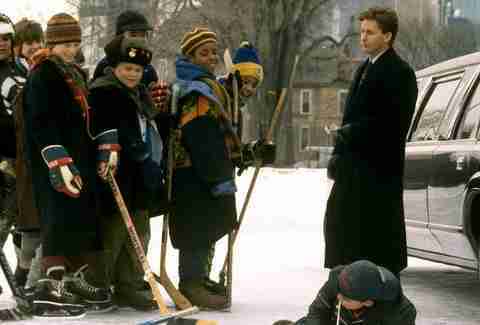 Children of the ‘90s can endlessly quote this sequel -- "You lost it for yourself," indeed -- but we regret to inform you that the plot of the second Mighty Ducks film is kind of preposterous, even by the standards of 1990s kid-sports movies. 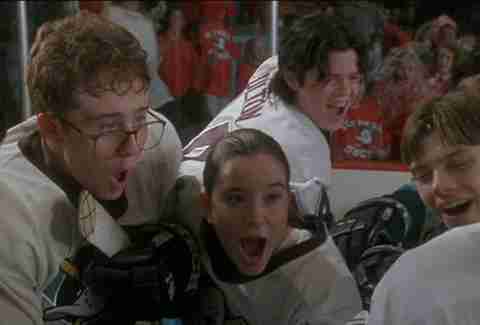 Whereas the first film in the Mighty Ducks trilogy is mostly grounded in reality, this one sees a single youth hockey team from Minnesota chosen to represent all of America (?) in an international tournament, where they're joined by child ringers (??) from throughout the country. That said, if you played youth hockey between 1994 and 1999 and didn't attempt at least one Kenan Thompson knuckle puck, what were you even doing? Dumb? Sure. But it's the fun kind of dumb. Sudden Death falls into the category of hockey-adjacent movies -- technically, no one even wins the big game, which is halted on account of stuff blowing up -- but hockey is central to the plot. (Sample villainous line: "I wonder who gets the Cup if I blow up the building before the game is over.") 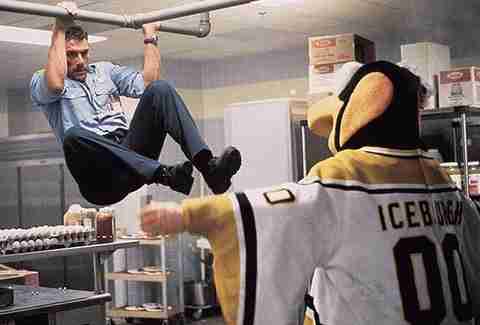 Jean-Claude Van Damme does it all: dangles from the arena ceiling to save the vice president at Game 7 of the Stanley Cup Final, single-handedly takes down a terrorist's getaway helicopter, and, while impersonating a Pittsburgh Penguins goaltender (just go with it), makes a gorgeous kick save on a Tony Amonte shot. This documentary about the mighty Soviet hockey team explores not just how it got so mighty in the first place, but also looks at how Russian players were introduced to the NHL after the fall of the Soviet Union. 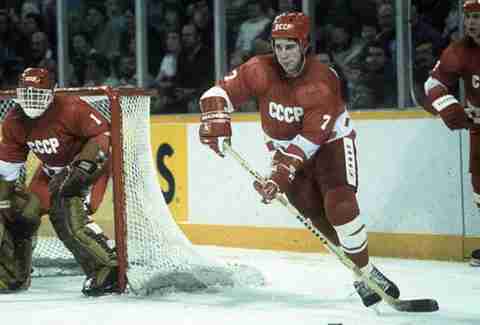 Much of the story is told through the eyes of Hall of Famer Slava Fetisov, who stood up to tyrannical Soviet coach Viktor Tikhonov and was among that first wave of Russians to play in North America. One talking head explains that the Soviets "elevated hockey to an art form" during their era of dominance, so if nothing else, this doc nicely complements the story of the 1980 "Miracle on Ice," by showing just how much of a miracle it was. This 1999 movie famously culminates in an outdoor hockey game between the residents of Mystery and the fictional New York Rangers, and it turned out to be prescient: Within a decade, the NHL was staging regular outdoor games in freezing temperatures. The actual New York Rangers have appeared in several of those, but unlike in the movie, at no point has an opponent tried the Mystery team's secret weapon: a comically slow rendition of the national anthem, as performed by Little Richard, to make the city-slicker visitors to Alaska stand still and freeze. How much of a phenomenon was this 1992 movie? It inspired not just a pair of sequels, but the name of an actual NHL hockey team. It's a sweet, feel-good kids movie, but it's not too sweet (it is, after all, the rare children's film that opens with a DUI). And it's an unusually simple, realistic plot: Heck, a major turning point involves… the bureaucratic redrawing of youth-league district lines. Gordon Bombay is a pretty well-developed character for the genre: competitive to a fault, but secretly compassionate; a brilliant hockey mind, but still looking to exorcise some demons from his own pee-wee days. 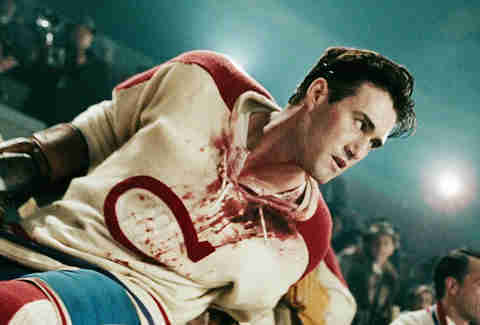 Much of the action in this award-winning Canadian biopic takes place off the ice, but the hockey scenes are gorgeously shot, with great attention to detail to recreate the look of games from the 1940s and 1950s. Richard, the Montreal Canadiens legend who retired as the NHL's all-time leading goal scorer, is called "the Babe Ruth of hockey" in the film, and it's a fitting description, as, like Ruth, he became a major star at a time when his league desperately needed one. But the film also chronicles his development from a quiet young player looking to provide for his family to an outspoken veteran sick of being discriminated against as a French-Canadian. Fire up the Maxine Nightingale! 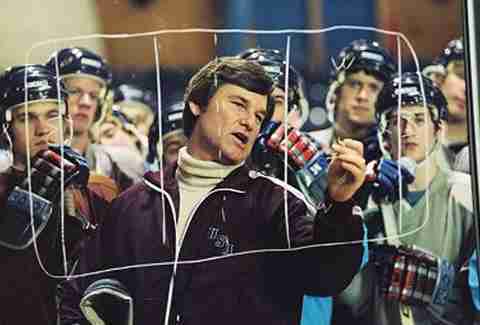 Every hockey fan has their favorite moment in this, the most classic of classic hockey films. (For our money, it's the very first scene: Goalie Denis Lemieux explaining the "finer points of hockey" on a local sports-talk TV show, and demonstrating all the things that get you sent to the penalty box where "you feel shame, you know, and then you get free.") 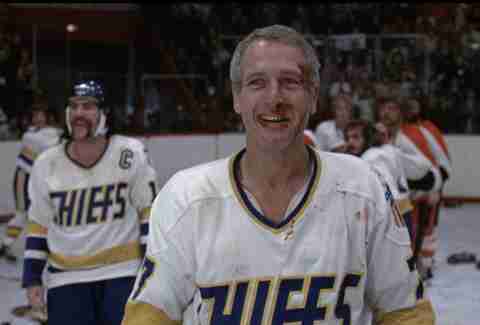 But no matter your preference, this remains as good as hockey cinema gets, chock full of iconic characters, led, of course, by Paul Newman's grizzed player-coach Reggie Dunlop. Slap Shot spares us the glossy sheen of so many sports movies, and instead provides what feels like a much more honest peek inside the locker room. Joe DeLessio is an associate editor at New York Magazine online and a contributor to Thrillist. 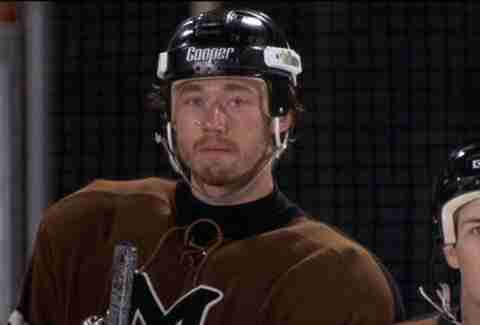 He's still upset the Mighty Ducks movies were pulled from Netflix. Follow him on Twitter: @joedelessio.